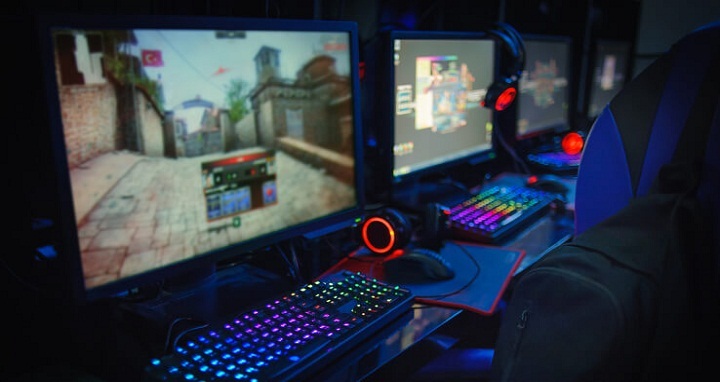 Dhaka, 1 September, Abnews: China will restrict the number of video games and take steps to curb playing time by minors to address growing rates of childhood visual impairment as the government steps up its crackdown on the world’s biggest online gaming market. A statement posted on the education ministry website late on Thursday justified the new curbs as a way to counter worsening near-sightedness among minors, after president Xi Jinping earlier this week called for greater national attention on optical health. But the move adds to perceptions that there is a broader campaign to rein in China’s fast-growing video game sub-culture after authorities already made clear their concerns over gaming addiction and the violent content of many shoot-em-up titles. The education ministry statement, also endorsed by seven other ministries, said they will “implement regulations and controls” on the number of games that can be played online, limit new releases, explore an age-restriction system for games, and take steps to reduce playing time by minors. Shares in internet giant Tencent, China’s games leader, dropped by more than five per cent in Hong Kong while Perfect World Co, a game developer formerly listed on the US NASDAQ exchange, fell as much as nine per cent in Shenzhen. Several other smaller game developers also plunged on Shenzhen tech-heavy exchange. Chinese official studies and media reports have warned of growing rates of near-sightedness, or myopia, and among increasingly younger children. Excessive screen time and strict school study routines are often blamed. A national vision report in 2015 said around 500 million Chinese-nearly half the population above five years old-suffer visual impairment, 450 million are near-sighted, and rates were rising. It estimated visual impairment issues cost China around $100 billion in 2012. But visual concerns are just the latest reason given for an apparent campaign to put the brakes on wildly popular digital gaming. The industry was rattled earlier this month when Tencent said it was ordered to pull the hit game “Monster Hunter: World” from sale, just days after it debuted. Shortly after Tencent’s “Monster Hunt” announcement, Bloomberg News reported that China had indeed put a halt to new approvals. Chinese media blamed the hold-up on personnel changes arising from Xi’s consolidation of power at a Communist Party leadership meeting late last year, which has made him the most powerful leader since Mao Zedong. But regulators also have balked at approving games featuring violence and gambling, Bloomberg quoted a source as saying, as Xi pushes a “purification” campaign to purge media and entertainment of content perceived as unsavoury. China is the world’s largest gaming market, with an estimated $37.9 billion in revenue, according to industry tracker Newzoo, but concerns over objectionable content and addiction have fuelled growing scrutiny. Tencent last year began restricting daily playing times for minors on its smash hit “King of Glory” mobile multiplayer battle game. Official warnings over the dangers, and calls for tighter regulation, seemed to gain pace after Chinese media reported in February that a 15-year-old game-addicted boy in central China bludgeoned and strangled a woman to death.